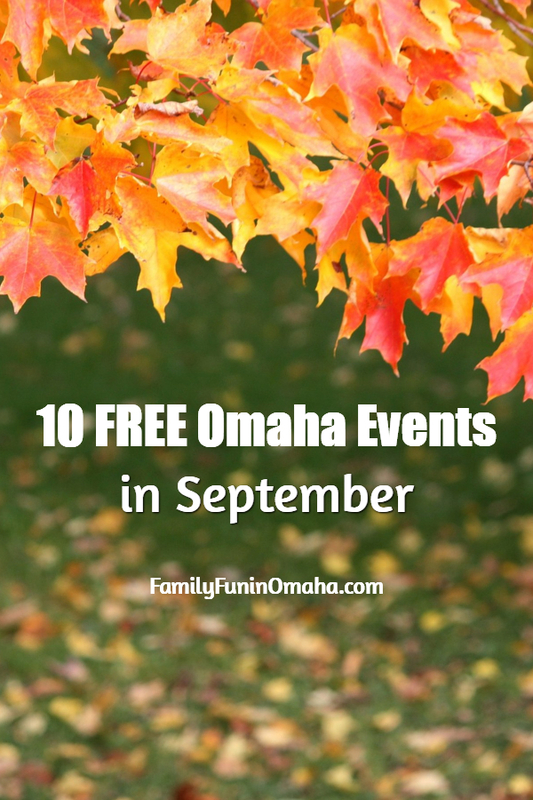 Enjoy many family-friendly events coming up in the Omaha area, including these 10+ FREE Events in September! Please Note: It is always a good idea to verify before visiting as details may change. See more September Fun below (not free, but value-priced)! Build a Field Goal Game. Workshops designed for children ages 5-12. >> See more Labor Day Weekend Fun here! Watch flag carrying honor guards, marching bands, labor unions, businesses, floats, animals, horses, clowns and roaming artists in Downtown Omaha. Location: The SeptemberFest parade starts at 16th and Cass Streets, travels south on 16th Street to Capitol Avenue, continues east on Capitol to 10th Street and concludes by proceeding north on 10th Street to Mike Fahey street. Enjoy watching radio-controlled planes & their operators show off their skills benefiting Make-A-Wish. Location: Hawk Field located at Standing Bear Lake Park right around 138th and Fort Street. This month’s theme is Fiesta! Create, learn, and play! 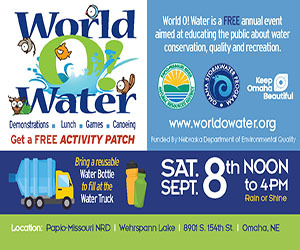 See live exotic animals, hawks and owls. 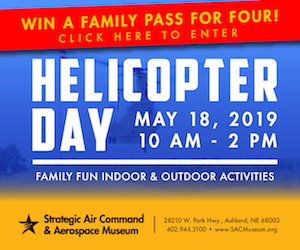 Walk among butterflies, get your face painted, break open geodes, see water creatures, go on a scavenger hunt for birds’ nests and animal tracks, learn about honey bees, and more. Free admission and refreshments. Watch the movie Wonder, beginning at dusk. Free popcorn is provided. Food, drinks, and ice cream can be purchased at Dairy Chef. Celebrate our freedom with live music and fun. Families are invited to the library for an evening fall story and fall inspired crafts, games, and more! Treats will be provided. This month features Fontenelle Forest’s Raptor Recovery Program. See amazing birds and learn all about them. 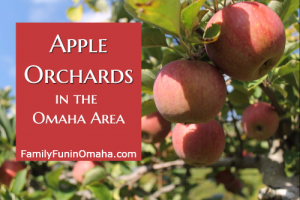 Alpacas of the Heartland LLC, Princesses and characters, Nikki’s Dance Studio, bounce house, apple games, and u-pick apples (pay for what you pick by weight). Caramel apples, hot dogs, water, and Gatorade will be available for purchase in the store. Location: Super Bee Orchard, 4571 US Highway 75, Fort Calhoun, NE. 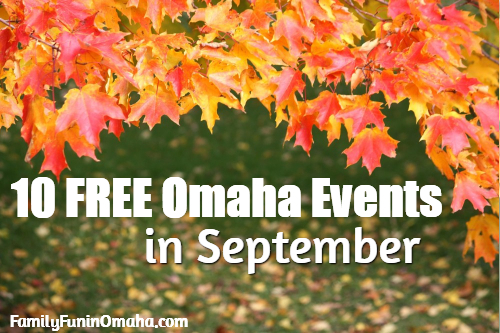 The community is invited to enjoy a rousing, free concert and the largest fireworks display ever staged in Turner Park – celebrating the Navy’s newest combat ship, the USS Omaha. 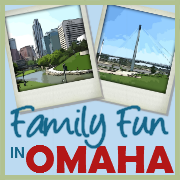 Location: Midtown Crossing, 31st Avenue & Farnam St.
Fun educational, hands-on classes for pre-school age children and parents brought to you by ParentSavvy and Fontenelle Forest. Free 3x a year. Registration opens the 1st of the month. 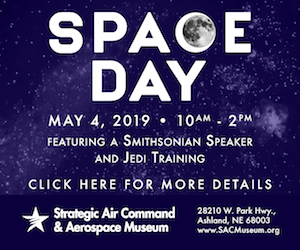 Please note that space is limited and sessions do fill quickly! Register here! Participating museums include The Durham Museum, Morrill Hall in Lincoln, and many more! 1) Select the Museum you want to visit. 2) Sign up for your Museum Day Ticket for 9/22/18! Explore trucks and vehicles of all kinds and chat who those who drive them. Location: Gretna Elementary (east parking lot), 801 South St. Dress warm for stories, bubbles and playtime in the park! Ages 8-11 years! Join the Creighton Dance Team on September 29th for a FREE dance clinic at the FITGIrl, Inc Empowerment Center. All participants will have the opportunity to perform at the Dad/Daughter Dodgeball Tourney on Oct 14th with the Jays. Please register your daughter here so they are prepared with enough snacks and goodies. Location: FITGIRL Inc., 15505 Ruggles Street, Suite 108, Omaha. Experience where volunteers portray life at an 1820’s military fort. A Park Entry Permit is required. An admission fee of $2 per adult & $1 for children is required for the Visitor Center. Location: Fort Atkinson State Historical Park, 201 S. 7th Street, Fort Calhoun, NE. Watch Hot Air Balloons participate in competition flights and evening glows, in the beautiful surroundings of Ditmar’s Orchard. Admission is $10/car. All proceeds will go to American Cancer Society/Relay for Life. PLEASE NOTE: Weather Permitting Balloons will fly- they will not know until about an HOUR before Launch time. Balloons will only fly if conditions are favorable. This is a popular event. Carpooling is encouraged as well as plan to arrive early. Each family will receive an information packet with your own set of tags & attend a short training program before hitting the trails in search of monarch butterflies to tag. All attendees will need a valid annual park permit or will need to purchase a $2 per vehicle daily entrance pass for entrance to the park. 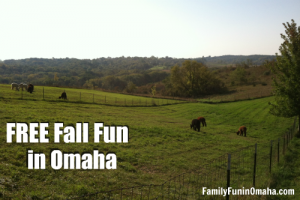 Hayrides, animal visits, scavenger hunt, pony rides, old-time vendors, raffles, and more. Bring the family for an outdoor movie experience! Feel free to arrive early and cook your supper over one of the 5 fire rings before the movie starts. Keep the fire going and make s’mores during the movie! Celebrate the kick-off of the apple harvest with cider donuts, candy apples, caramel apples, apple fritters, apple salad, and pretty much anything you can imagine made from apples. Featuring more than 6 craft fairs, a parade, a classic car show, live music, and a 3-day carnival!